We all want to improve our wellbeing, but finding the time and energy to look after ourselves can be challenging. 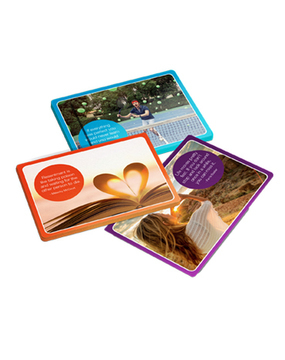 These beautifully designed cards give you tested, practical, busy-proof steps to help you feel good and do well at work. Measure your wellbeing using Professor Martin Seligman’s PERMA framework (with the addition of a ‘Health’ pillar). Set realistic wellbeing goals that build quick wins to improve your levels of energy, resilience, productivity, health, and happiness. Create a personal wellbeing plan with busy-proof practices that you enjoy doing and make it easier to consistently thrive at work. 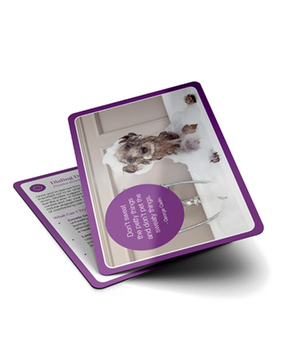 Engaging, educational, and practical, these cards capture almost 100 interventions from the growing body of positive psychology research to help individuals, coaches and facilitators thrive. 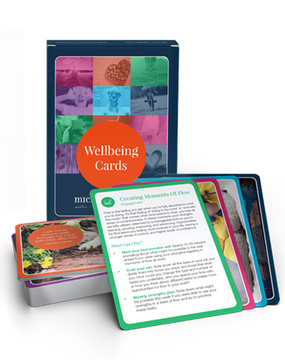 Four introductory cards that explain what wellbeing is and why it matters, and give you simple tips for creating your own busy-proof wellbeing habits. 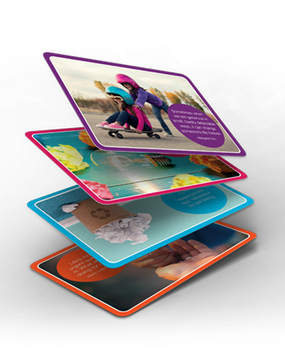 Guidance on how you can be an intelligent and active participant in finding the wellbeing practices that work best for you. 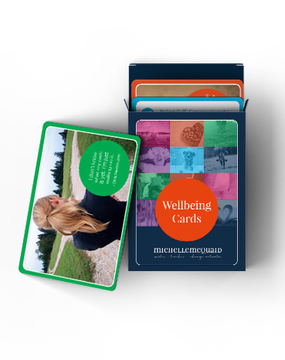 34 Wellbeing Cards, with easy-to-understand definitions and specific, actionable ideas for improving your wellbeing within the six pillars: Positive Emotions, Engagements, Relationships, Meaning, Accomplishment and Health.